Dozens of towns and cities are getting full fibre upgrades. 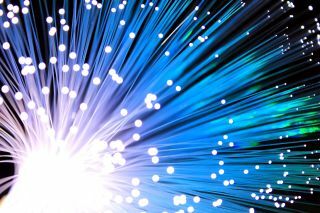 CityFibre has revealed a £2.5 billion investment plan that it hopes will boost connectivity across the UK. Under the plan, 37 towns and cities that already have critical fibre spine assets will have their infrastructure expanded, with the hopes that roughly five million homes connected to full fibre, in line with the government’s idea of having 15 million homes connected by 2025. CityFibre’s fibre-to-the-home builds are currently underway in Milton Keynes, Peterborough and Aberdeen, with the help of Vodafone, its first consumer ISP customer. Construction is also due to start in Edinburgh, Stirling, Coventry and Huddersfield before the end of this year and Cambridge, Leeds and Southend-on-Sea early next year. “With a head-start in 37 towns and cities, this full fibre investment plan enables us to further accelerate our rollout, catalysing huge economic growth in regional towns and cities across the country and transforming the UK’s digital future”, said Greg Mesch, CEO of CityFibre.